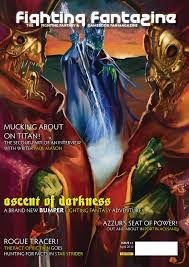 Originally published at http://fightyourfantasy.blogspot.co.uk/ by Justin MacCormack - Please be sure to check out the original article, and support the author by purchasing his latest book, "Return to 'Return to Oz', and other tales". One of the neat things about Jackson's "Sorcery!" series is that the difficulty increases with each book.I don't mean this in terms of combat, though. It increases in terms of complexity in how the gamebook works. For instance, The Shamutanti Hills is a rather straightforward adventure. You move from village to village, on a journey through the hills, aiming to reach the city of Khare. 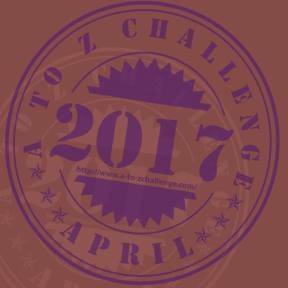 There's no special items needed in order to ensure you finish the book, it's all very straightforward, with the biggest range of choices coming from the branching pathways that take you to your destinations. Khare ups the ante by requiring you to hunt for a few items in order to get through the door at the other side of the city. I can't remember exactly which items they are (I don't want to spoil the adventure for myself before I go back in), I seem to remember it was some kind of key or lock or other McGuffin. 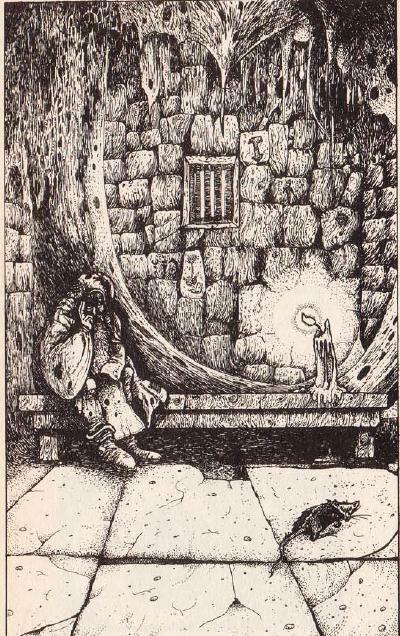 Either way, the 'find a specific item' requirement is infamous in Fighting Fantasy books, dating back to the first ever one in the series, which as I'm sure everyone will remember fondly - having slain the warlock of firetop mountain, only to curl up in a fetal ball and cry because you couldn't unlock the chest he's stored all his treasure. The following book, The Seven Serpents, raises it further by making each of the things you need to track down an enemy, one of the serpents, which you then need to dispose of. It uses the full range of environments to make this more challenging, and the game includes a slight twist in the fact that you only need to slay six of the serpents. How's that for thinking outside of the box? And it's taken even further in The Crown Of Kings, where there are multiple branching solutions to get to the end - one of which even involves playing with the narrative itself via time travel! So you see, the structural complexity of the adventure is ramped up in each book. 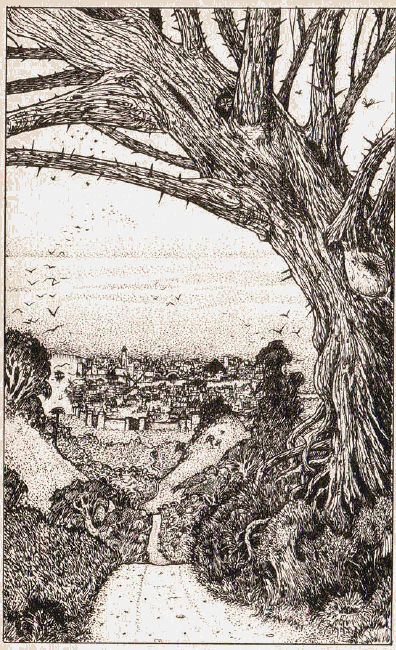 In this book, we start out arriving at the city of Khare, with the clear goal of getting to the other side of town. Not that easy. Hell, in my playthrough of The Shamutanti Hills, I didn't even get to the city! But we'll give this one a shot. I'm using the same stats as I rolled up for the first book, but without any of the items that this adventure doesn't let me start out with. So if you want to see how I handled the first part, give my playthrough a read first. Done that? Okay, let's get this underway! We are treated to a bit of history of the city of Khare, before we arrive at the south gate. The guards do not seem to take kindly to visitors, as the moment they see me they throw me into a prison cell for the crime of not bribing them. Ah, it's going to be one of those cities, isn't it? It quickly becomes evident that the inhabitants of Khare are all a bit mad. Possibly not quite as mad as the inhabitants of Port Blacksand, but definitely madder than the inhabitants of Innesmouth. Funny thing about Innesmouth, when Lovecraft wrote his story 'Shadow over Innesmouth', he described all the inhabitants as having a certain look. I live in Portsmouth, and I've noticed that due to the excessive amount of inbreeding and lack of quality psychiatric care, there's a definite 'Portsmouth Look' to a lot of people... especially in the North End area. But I'm getting off track. I'm given the option of following a bunch of kids down a road. Assuming that these kids, who are all wearing backpacks, are Khare's version of chavs, I decided to follow them from a safe distance. Before long I catch sight of some city guards, and am told that I hide in a nearby house. I haven't done anything illegal or that would require me to hide from the guards, I just assume that my character has learned that it seems best to avoid the law enforcement around here unless he wants to be locked up overnight again. Inside the house I'm hiding out in, I find a group of black elves. 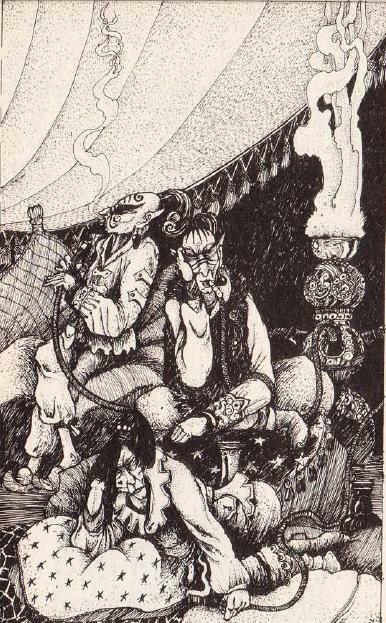 I'm instantly worried that this is going to spiral off into racially insensitive territory again, but instead it just seems that these elves are just sitting back smoking weed. Oh dear. Sigh. I decide to be deliberately obtuse to the game at this point, and sit back to smoke some weed with them. Apparently the medical benefits have not been exaggerated, as it heals some of my stamina (although the odds of it doing this were about the same as the odds of me getting violent and attacking them). I try to ask them for some advice, but I'm unable to get much sense out of them, so I head out of the house and carry down the road until I get to a fountain. It's at this point that the full effect of the weed I've smoked must have kicked in, because one of the fish in the fountain tries to talk to me. I have a rousing discussion with the fish, during which it gurgles at me. I'm then given the choice of stealing some coins from the fountain, but I choose not to do this in case it upsets the fish. Fish are known to have strong emotional connections to large pieces of metal that people throw into their homes, after all. My next attempt to speak to an animal occurs when I see a horse standing at the side of the street. Unlike the fish, this horse is sensible and doesn't talk back. Reasoning that a horse may be useful later on in this adventure, I decide to steal it. I climb on board, and the horse kicks into a gallop and charges down the road, leaving me grabbing on for dear life. Did I mention that this book is rather odd? Eventually the horse kicks me off and runs into the distance. I'm now completely lost in this city. I spy two huts, and opt to enter one. 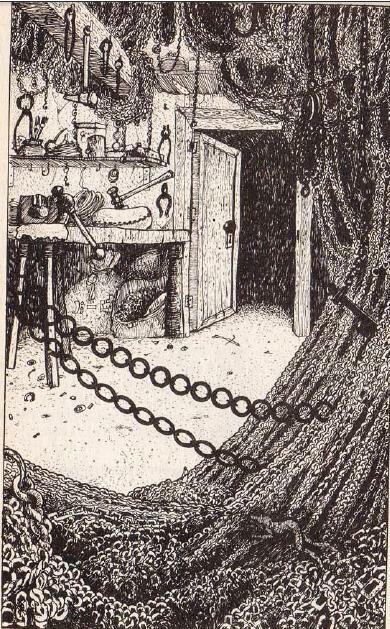 The sign on the door reads 'chainmaker', so I assume that it belongs to a man who makes chains. Indeed, nobody's home - or more accurately, the owner of the shop is upstairs, so I decide to raid the entire store. I test my luck and find three gold coins. I'm then asked if I want to test my luck again, during which I find some blue and bilburry juice. I'm then asked once more if I wish to test my luck, which causes a trap to fall and catch me. I was lucky all three times, so I assume that if I was unlucky on that third roll, the entire shop would explode or something. Anyway, I'm abruptly rescued from the chainmaker's trap by the prisoner I met earlier, in exchange for giving him all the items I'd found in the store. Thanks, mister prisoner who I suspect was following me around this entire time purely to take more items from me as well as all those meals you stole earlier. I leave the store three luck points lighter and head into another hut instead. I'm desperately hoping that whatever I find in the next hut will be vaguely more useful, or at most I'll be able to keep ahold of without some nasty bugger stealing it all! Hut number two, and I find a kitchen. Sweet aromas fill the air. I look around and notice the chef, a man with a horrifying jellyfish head. My sanity breaks at this point. "Oh for the love of... what fresh new hell is this?" I mumble aloud, and decide just to kill the silly abomination of nature. I chuck a spell at it, but the book tells me that no such spell exists and charges me five stamina points for the information. So instead I just beat the jellyfish headed man to death with my sword. Stealing a mirror and a scroll from the kitchen, I run down the street until I come to a travelling fair, which seems to have set up right in the heart of the city for some unknown reason. I decide that this will be a fun chance to indulge my thirst for wanton cruelty, so I go to watch the dancing bear show. Hoping to see some ridiculous cruelty seems in keeping with my actions to date, but to my horror I find that during the show I am pickpocketed and all of my gold is stolen. 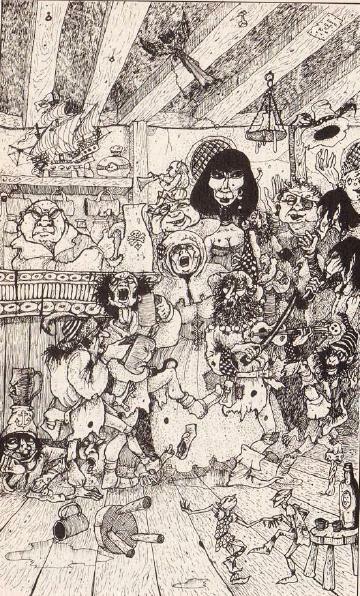 I'm not given the chance to chase down the pickpocket and stick a sword in them, and the man with the dancing bear seems to quickly vanish into the crowd, making me quite convinced that they were in cahoots with each other. So I'm now penniless. Eager to win it back, I push on through the fair until I find a boxing ring. Inside, I watch a barbarian fight an ogre who is far stronger than himself. Unsurpringly, the ogre wins, and I notice that this seems to be a fight to the death. Because I have no self control in this book, I jump at the chance to enter the arena and try to fight this giant and powerful ogre that has just ripped a grown man's torso apart. Amazingly enough, I do indeed win, and am rewarded with a puny fifteen gold coins. And, because it's a fair, I immediately waste a few of those coins on a prize machine. This prize machine is rather interesting, because there's six possible prizes and an imp chooses one for you, for only two gold coins. Expecting that I'll probably receive something vaguely useful to my quest, I give it a shot. The imp gives me an apple. Not too bad, because I have no provisions at this point... except that it's a rotten apple, which proceeds to make a mess over the inside of my backpack. I'm now convinced that the whole city of Khare is conspiring to give me a really crappy day. I stumble blindly through the city streets, holding on to my precious rotten apple in the hopes that I'll find a man with a dancing bear so that I can throw the apple at them. No such luck. Instead it starts to get dark, and soon it's about time for me to get some rest for the night. I won't sleep rough on the streets of Khare overnight, I'd probably wind up getting eaten by a sentient brick wall or something similar! 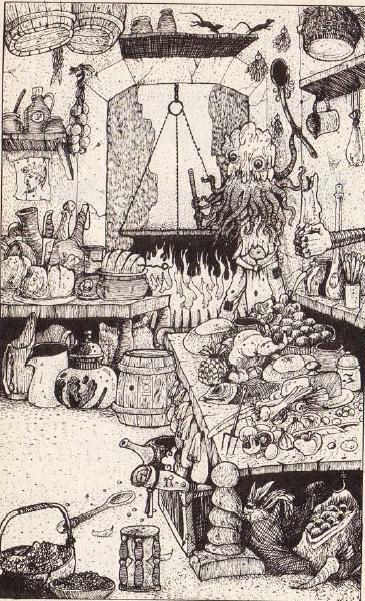 I spend another eight gold on room and food that night in a local tavern called 'The Wayfarer's Rest', which is located near the center of Khare. That's rather worrying, as I an now sure I've missed at least half of the spell I need to get out of this city. Nevertheless I opt to spend the night at this tavern, which is full of singing sailors and whoring wenches. A friendly sailor offers to buy me some ale, and I opt to pry him for information. Over the course of several pints, he tells me that one of the lines of the spell is kept by a vampire, and I'll probably need to head to the local graveyard. He also tells me that I should never kiss statues of gods on their cheeks. I then buy him a drink in return, and he beats me over the head until I fall into unconsciousness. I wake up in the hold of a slave galley. Getting a little tired of meeting complete creeps all the time, I shoot a lightning spell at the side of the ship, aiming to sink it and everyone onboard just to teach them a lesson. Climbing through the hole I've made in the rapidly-sinking galley, I see that it's now morning. Lacking any real sleep for the night, my patience is growing thin. I eventually catch sight of a rather unusual monument that seems to have been constructed in the middle of a city street, to which a variety of elven-type figures seem to be worshiping. I push my way to the monument, keen to see what the source of their curious behaviour is, and see that it's just a small pool of water. I innocently ask one of the elves what it is, and all hell breaks loose. Anyway, not particularly wanting to spend my whole life sitting in yet another jail cell, I pray to Libra to break the lock and get me out of here, which she does. I urge a fellow prisoner to join me in my escape, and he's so grateful that he restores my luck to its initial level. Feeling pretty lucky, I decide to head into the world-famous 'Gambling Halls of Vlada', which is just down the road from where I'm now standing. I manage to lose every single gold coin I have. Again I'm penniless, and just when I'm wondering what the next awful fate will befall me, I see a door that reads 'portal room'. Hoping beyond hope that this is a portal outside of Khare and maybe to a tropical island somewhere I can relax and spend the rest of my days in sunny happy climates, I head in. The 'portal' in question, it turns out, is a hole into the sewer which one of the security guards throws me into. For no good reason, either. I just assume that the security in this casino are so strict that they've dug a massive hole into the sewers to throw troublemakers into. Not a bad idea all in all, but still... blah. 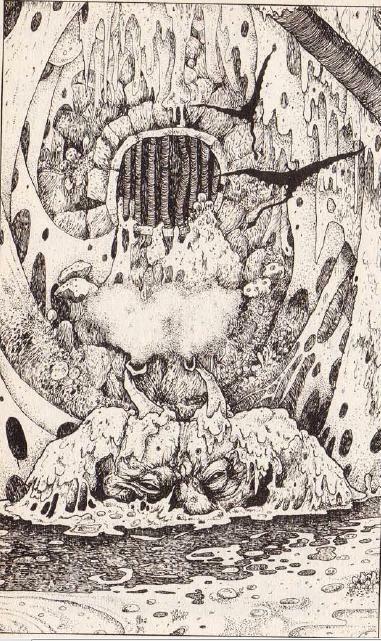 So I'm in the sewers of Khare, piled up to my neck in sewage, muck, slime and vast amounts of human and animal feces. Literally up to my neck. Okay, so the day can't get much worse... then I hear a rumbling from a nearby pipe, as it prepares to shoot a whole load of excrement right into my face. I hold my breath and duck. I emerge from the mess feeling very sick, and very eager to get out of the sewers. In an especially sadistic twist, the sewers consist of a massive maze full of dead ends. 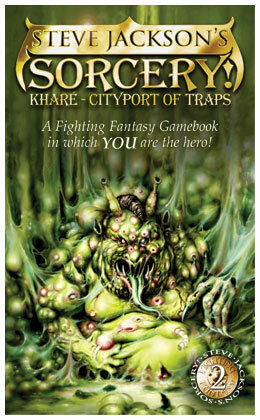 And filled with Slime Eaters, horrible little burbling monsters known for being on the cover of this book. I manage to kill the first two, but the third one eventually drags my stamina down to zero, leaving my body to sink in the depths of the sewers beneath Khare, penniless and smelling of poop. Somewhere in the macrocosm, far beyond this small cityport, Libra is watching on and having a great big laugh at my expense. 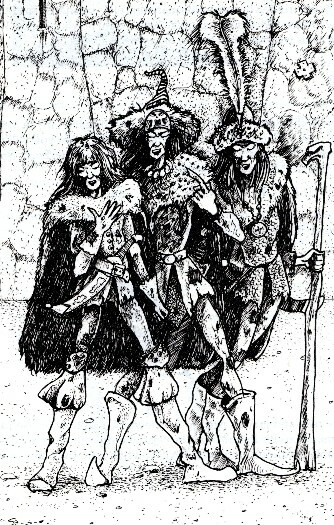 This has to be the most humiliating death to any Fighting Fantasy book I've played. I didn't care for this book when I was a kid, but as an adult I really enjoyed it. I didn't find a single line of the spell, and I don't care - I just had LOADS of fun! It's just so utterly crazy and insane that it's difficult not to love this. I haven't had so much fun with an FF book in weeks, and I highly recommend this one to you. Yes, you. Why are you still reading this? Go play the book, now. Tally-ho! 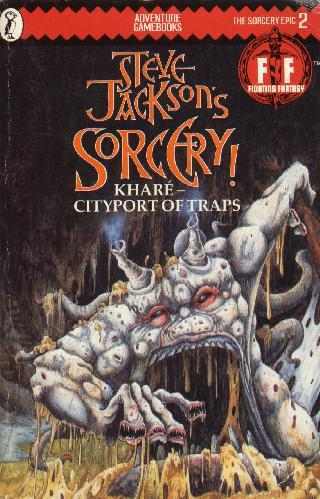 In my next post, we'll be tackling the third part of Steve Jackson's "Sorcery!" series, 'The Seven Serpents'. After having escaped the nightmarish hell on earth that is Khare, we are growing closer to our goal. But the foul seven serpents are flying their way across the great plains, bringing with them news of my quest to the Archmage of Mampang. So as well as getting across the Baklands and all its inherent dangers, we will need to do our best to track down and prevent the seven serpents from sabotaging their mission. The question is, just how much of a total mess will I make of this rather simple quest? Stick around and find out. Cymerian - Dice or no?